120 organisations from Coventry & Warwickshire made their way to the Coventry Transport Museum in February to learn about accessing new funding opportunities for their businesses. 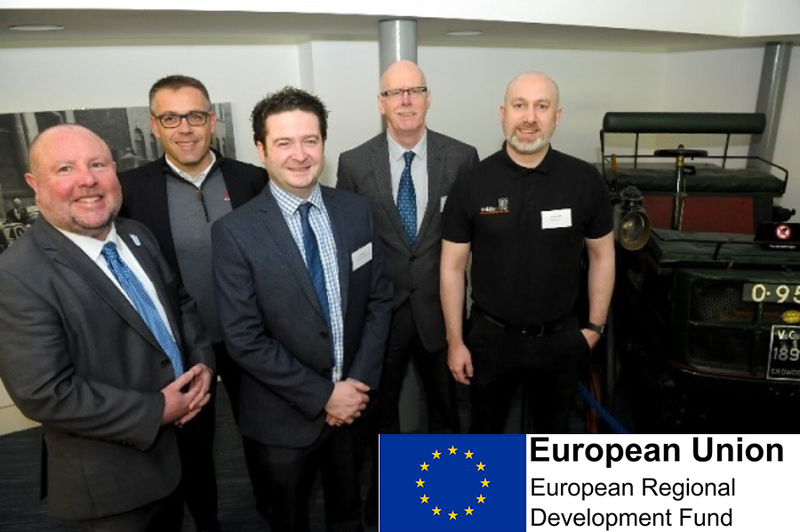 Following the success of three European Regional Development Funded (ERDF) programmes which ran from 2016 – 2018, where a total of £4.6m was provided in grants to local businesses, Coventry City Council, alongside its delivery partners are very excited to have launched three new ERDF programmes in the areas of Business Support, Green Business and Innovation. If you are a small to medium sized business (fewer than 250 employees) in Coventry and Warwickshire, then you may be eligible to receive business support, including grants from the three current ERDF Programmes to help grow and develop your business. Cllr O Boyle, Cabinet Member for Jobs & Regeneration opened the event, and reflected on the successes of the previous programmes that have provided some of the foundation of Coventry & Warwickshire’s recent economic success, outlining reasons why the region has been the fastest growing economy of all LEP areas since the 2008/09 recession. Andy Williams, Director of Business, Investment & Culture at Coventry City Council outlined all the funding opportunities that are available to SMEs around business support and capital investment grants to enable growth going forward. These include; supporting new start-up businesses, assisting existing businesses with grants, improving energy and resource efficiency of business premises and supporting businesses to develop innovative new to market products and services. The delegates were able to learn first-hand from three organisations who had received grant support in the past. Mobilerecon, Alchemie Ltd and R53 shared their successes of capital investments which have been made in the areas of property renovations, a new energy efficient heating system and support for new product development which has resulted in supplying Renault Sport and Bentley. Please contact Denise Osborne denise.osborne@coventry.gov.uk for further details about this release. All programmes are part funded by the European Regional Development Fund and are being delivered by CW Local Enterprise Partnership, Coventry City Council and its partners. The programmes are open to businesses with fewer than 250 employees based in Coventry and Warwickshire.